As summer lingers in its final days, the holiday season is fast approaching. The holidays are a critical time for most retailers, and planning must be done in advance to prepare marketing and advertising campaigns aimed at reeling in holiday shoppers. Virginia and PPC analyst Jim Stratton start the show by reviewing some of his tips for seasonal PPC campaign planning. Internal historical data, buzz generation, special offers and campaign structure are examined. 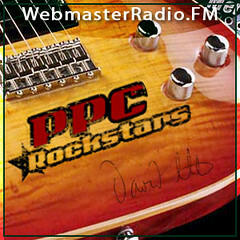 Then David Szetela, CEO of Clix Marketing and host of WebmasterRadio’s PPC Rockstars, talks to Virginia about his recommendations for PPC management leading up to the holidays. Landing page development, incentives, weighing CPC against ROI, and the effect of a Microsoft-Yahoo! search partnership are topics of focus. David also explains why the partnership is advantageous for search engine marketers. Undoubtedly, the Microsoft-Yahoo! deal signals changes for PPC professionals, so Jim and Virginia look at what aspects of search engine marketing could see the biggest change. According to Jim’s research, Microsoft’s ad platform will replace Yahoo!’s, while Yahoo! will take over ad sales for both search engines. Search engine representatives will likely shuffle around and, perhaps most significantly, advertisers may be more enticed to invest in ads on search engines other than Google. At SES San Jose last week, Bruce, Virginia and Robert stayed busy in the expo hall and conference sessions. Opening the show, they recall the takeaways and stand-out moments of the event. Bruce explains some of what was discussed at the Advanced SEO Roundtable. Virginia considers some of the most popular live blog posts on the Bruce Clay blog, including The Death of Last Click Attribution. Then Aaron Landerkin, Bruce Clay, Inc.’s IT Manager and lead developer of the SEOToolSet, talks to Virginia about the new SEOToolSet tools that were demonstrated at the show. The company has been in development of a new version of the SEOToolSet, and the first three tools — the Check Server Tool, the Ranking Monitor and the Single Page Analyzer — will soon be available for beta testing. Aaron and Virginia also talk about the intermingling of technology and people in the SEO profession, and how technophiles like Aaron maintain the balance. Then Bruce, Robert and Virginia discuss Google Caffeine, one of the biggest stories coming out last week. They first look at the differences between the current Google engine and Caffeine. The hosts explain that they’re not surprised at the convenient timing of the announcement. They also consider why Google might be accepting and benefiting from developer feedback. Virginia reports live from the San Jose Convention Center at this year’s Search Engine Strategies San Jose. Pixelsilk‘s Mark Knowles, CEO, and Wendy Roe, director of marketing, take a seat on the WebmasterRadio.fm couch to discuss the newest features of the Pixelsilk search engine optimization friendly content management system. Search Advice offers real-time SEO suggestions within the CMS content editor, based on SEOToolSet recommendations. This as-you-go capability has the potential to ease implementation of SEO best practices and minimize after-the-fact SEO needs. Partner Portal allows users to manage multiple sites and leverage common features within a single Pixelsilk account. The next guest to enter the WebmasterRadio booth is Reid Wakefield, product development at Century Interactive. During the conference the CI team was dressed in shirts promoting StupidSEM.com. The quiz on the micro-site aims to uncover common SEM mistakes, many of which can be solved through the use of Web analytics and attribution tracking. Century Interactive’s unique dashboard reporting and Web-to-call analytics system offers an easy-to-operate solution for not-so-savvy users. CEO of Engine Ready, Jamie Smith, then joins Virginia to share some insights his organization researched around SEO vs. PPC (pdf). The study examined the role traffic source plays in visitor purchase behavior. By observing and measuring important metrics, the research sought to examine the individual and combined effect of two major Internet marketing channels, search engine optimization and paid search advertising. The study also highlights the importance of conversion attribution in the holistic marketing mix. With Search Engine Strategies San Jose around the corner, the hosts spend the show looking forward to the training, sessions and networking opportunities at the conference. Bruce, Susan and Virginia also take an in-depth look at the session Credit Crunch: The Death of Last Click Attribution and its Impact on Paid Search Advertising. The challenge of giving credit to various marketing channels for a single conversion is one that the Internet marketing industry is striving to simplify through advanced attribution models. Gina Poole, vice president, IBM Software Group Marketing 2.0, then talks to Virginia about the subject she’ll be exploring in her panel, The View From the CMO’s Office. Gina identifies the difference between traditional CMOs and today’s digital CMOs and how a search marketer can pitch the value of SEO in a way that’s best appreciated by a marketing officer. Gina recommends that an SEO evangelize by demonstrating successes and by taking full advantage of data intelligence. Finally, Susan, Michael and Virginia examine the multiple social media educational opportunities happening at SES. On Tuesday, ClickZ, Google and YouTube are presenting a full-day forum focused on social media and video strategies. And on Wednesday the session Social Media: White Hat vs. Black Hat will evaluate any potential dos and don’ts of social media.